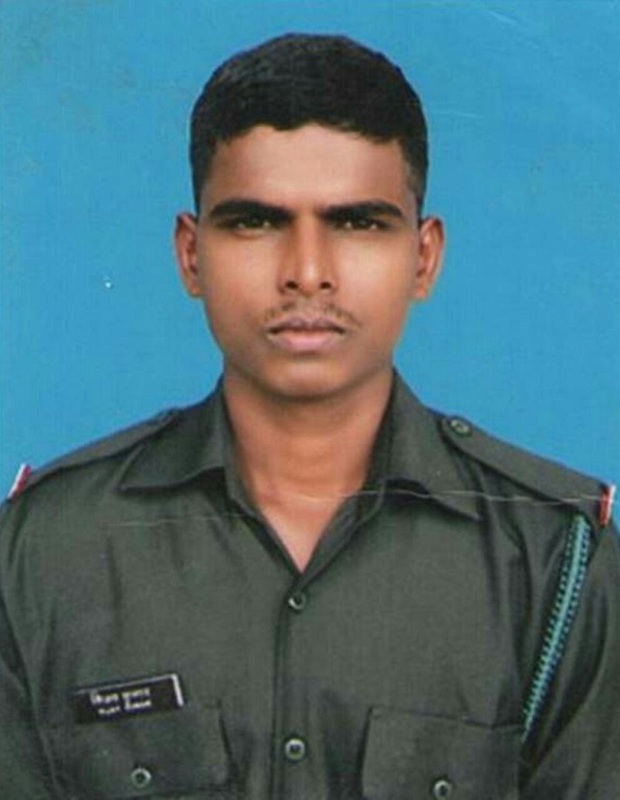 After an Avalanche hit Indian Army post in Kargil on 17 March, rescue teams of the Army on the third day of a gruelling search operation, managed to recover the mortal remains of Sepoy Vijay Kumar K from under twelve feet of snow. The search operation continued for three days despite adverse weather conditions and upto fifteen feet of snow in the area of avalanche. Avalanche rescue dogs, deep penetration radars and metal detectors were also pressed into service in the rescue operation. The martyr, who belongs to Vallaramapuram village of Thirunelvelli District of Tamil Nadu, is survived by his parents and two younger sisters. Army is in the process of evacuating his mortal remains from the area after which they will be moved to his native place where the cremation ceremony will take place with full military honours. 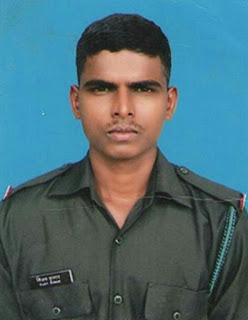 Sep Sujit, the soldier who was rescued on the first day itself is medically stable and recovering well. Recently, ten Indian Army soldier martyred when an avalanche hit their post in Siachen. Lt General DS Hooda, Army Commander, Northern Command has expressed his deep condolences to the family of Sepoy Vijay Kumar.